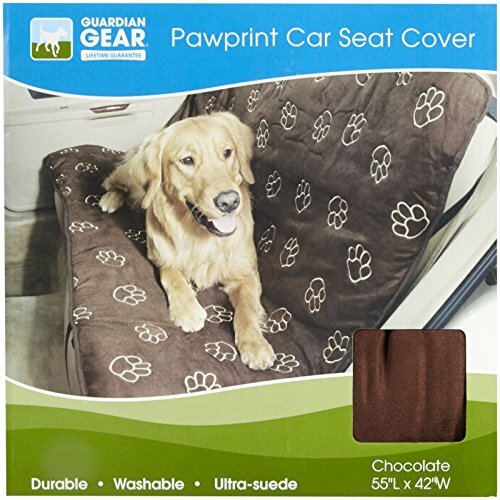 Guardian Gear Pawprint Seat Covers give pets a comfortable place to rest their paws during trips in the car. 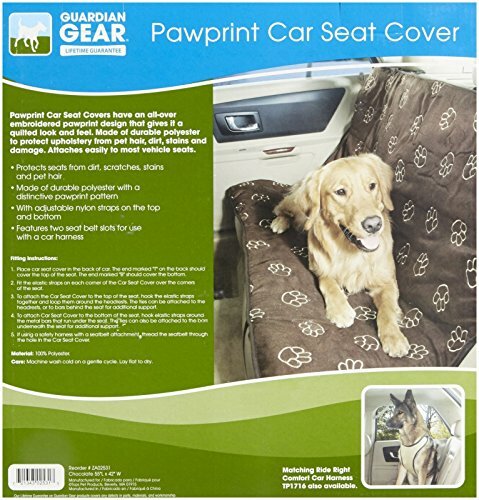 Each Guardian Gear Pawprint Seat Cover is packaged in a polyvinyl bag with insert. 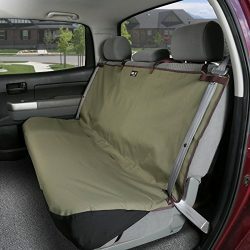 Installation instructions: 1.Place car seat cover in the back of car. The end marked “”T”” on the back should cover the top of the seat. The end marked “”B”” should cover the bottom. 2.Fit the elastic straps on each corner of the Car Seat Cover over the corners of the seat. 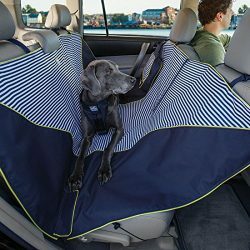 3.To attach the Car Seat Cover to the top of the seat, hook the elastic straps together and loop them around the headrests. 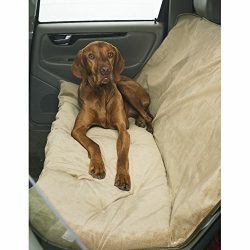 The ties can be attached to the headrests, or to bars behind the seat for additional support. 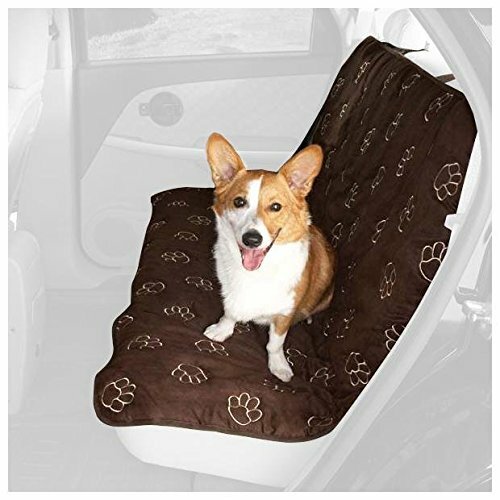 4.To attach Car Seat Cover to the bottom of the seat, hook elastic straps around the metal bars that run under the seat. The ties can also be attached to the bars underneath the seat for additional support. 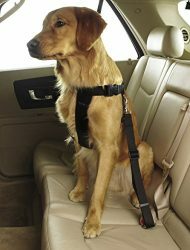 5.If using a safety harness with a seatbelt attachment, thread the seatbelt through the hole in the Car Seat Cover.Care: Machine wash warm, tumble dry low heat.